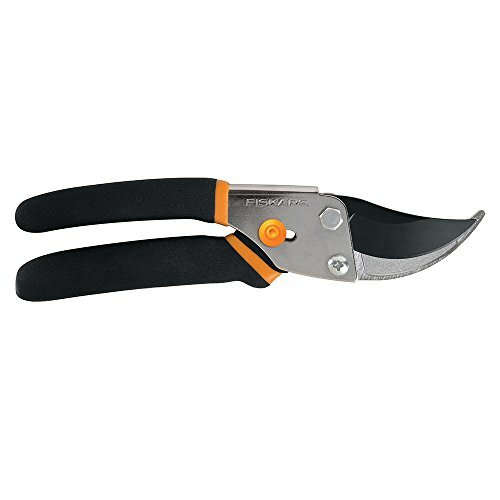 Pruning shears, also known as pruners, clippers, and even secateurs, are a type of equipment that is used to shape and trim plants, cut back perennials, prune damaged or dead foliage, small-sized branches, and even deadhead. For these reasons, it is important to find the best pruning shears money can buy. Lucky for you, we have already got that covered. In here, we introduce to you three of our favorite pairs of pruning shears in hopes that you also find the right one that suits your needs and preferences. Pruning shears are available in multiple styles and different prices, which make it extremely confusing to settle on just one of them. Hence, today, we will be reviewing three different pruning shears from three reputable brands. When it comes to gardening equipment with premium durability and comfort, Gonicc is one of the top brands out there. 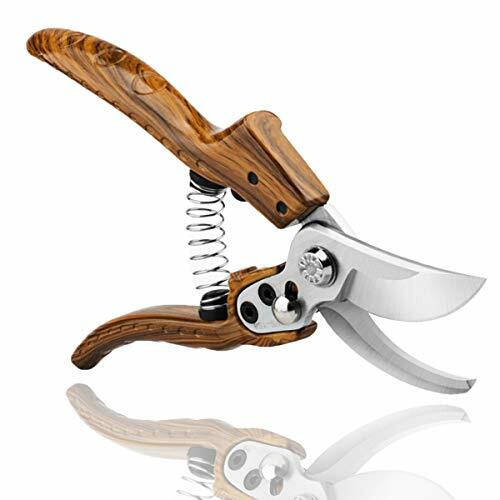 They manufacture some of the best pruning tools that all gardeners wish to add to their arsenal. Their products go through strict quality control, which results in the consumer getting only the highest quality equipment. 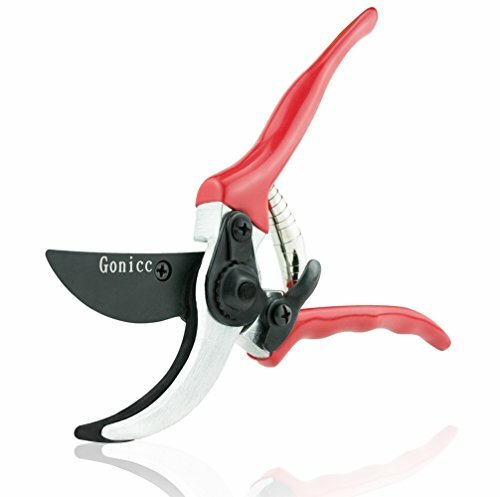 The Professional Sharp Bypass Pruning Shears from Gonicc is available in the color red. It measures 10.6 by 1.3 by 3.5 inches and weighs no more than eight ounces. It is equipped with ergonomically designed handles that are made out of aluminum and PVC, making it comfortable on the hand, light to hold, and slip-resistant. The blades are made out of extremely high-quality and ultra-fine polishing technology SK-5 Steel. Depending on the type of plant you are pruning, these blades are strong enough to cut through stems with a diameter of up to ¾ of an inch. This is all thanks to the sharp and reliable blades that are designed to do the hard work for you. Since this is a bypass cutting tool, it promotes better cuts as the scissors-like motion works fantastically in cutting live, green plants. Moreover, the firm yet spongy outer wall that surrounds the stem will yield easily to the bypass cutting motion of this tool. Lastly, this pair of pruning shears also features a sap groove design. What does this do? This intelligent design channels the sap off of the handles, keeping the pruning shears from getting all sticky. One of the things we liked about the Will’s Sword Pruning Shears is the color that it comes in. This gardening tool is available in a wooden finish, making it look all the more attractive. It is a bit smaller than the pruning shears from Gonicc as it only measures 7.87 by 2.36 by 0.79 inches. However, it weighs a bit heavier at 9.6 ounces. Why? Well, it is because this pair of pruning shears is equipped with a thick blade—an SK-5 Steel, to be exact. These high-quality carbon steel blades that can cut through branches that are up to an inch in diameter will always remain strong and consistently sharp even if you use it regularly. As such, it can lower the possibility of accidents and injuries that are typically caused by dull blades. Aside from the heavy-duty blades, the Will’s Sword Garden Pruning Shears are also designed with handles that are ergonomic and non-slip. These features not only make it extremely comfortable to hold and use but also add to the tool’s flexibility. The rapid spring back reduces fatigue on the hand, making these pruning shears ideal for long-term use. Since these shears are so efficient and light, as well as features an automatic safety lock, the company even claims that it can be used by children too! Lastly, and most important of all, the company offers a lifetime warranty for their pruning shears as well. Pair that with an excellent customer care support team, and you can be sure that you will get the most out of your money. Fiskars is a consumer goods company that was founded in the year 1649 in the village of Fiskars in Finland. This brand is well known for their orange-handled scissors that were created in 1967 that we have all grown up with. The Fiskars Pruning Shears are available in a classic black with a yellow stripe design measuring 4 by 1 by 10.8 inches weighing approximately eight ounces. These pruning shears are made from hardened steel that makes it very durable. As an added protection, the blade on it is coated with UltraBlade coating, which helps to make the shears perform even better than the traditional stainless-steel pruning shears. This coating will make the blade last up to five times longer and also keeps the blades extra sharp. Having such sharp blades means that there is less stress on your hands as you will have to apply lesser pressure to cut through the plants. This results in less overall fatigue. To top it all off, the blade is also corrosion-resistant. The handles have a Softouch dual layer, which gives it an added layer of comfort. This is essential as the equipment is capable of cutting up to 5/8th of an inch. There is also an ambidextrous locking system and comes with a lifetime warranty. Having the best pruning shears is essential to keep your garden looking pretty. The ones we have listed will certainly be good enough for any gardener. However, if we have to pick one, then it would be the Fiskars All Steel Bypass Pruning Shears. This equipment comes loaded with tons of features, and the blade is coated with an additional coat of UltraBlade too, which means it very sharp. Furthermore, even the handles are comfortable to hold, making the whole equipment a fantastic choice.